The temperature is near 90. A 3-day weekend beckons. The new pavilion next to Joey’s is finished. A handsome new roof is up. Picnic tables — including some with cutouts for wheelchairs — are back. 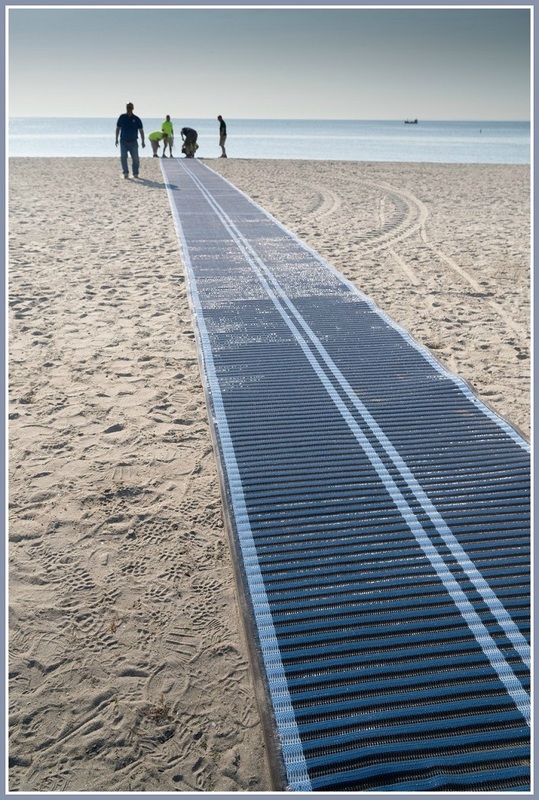 An eco-friendly “Mobi-Mat” has been installed. It’s perfect for people with walkers or canes, in wheelchairs, and parents with strollers. New signs direct daily parkers to a special area. Season sticker owners now get first dibs on the best spots. Parks & Rec has made sure Compo is all set for summer. 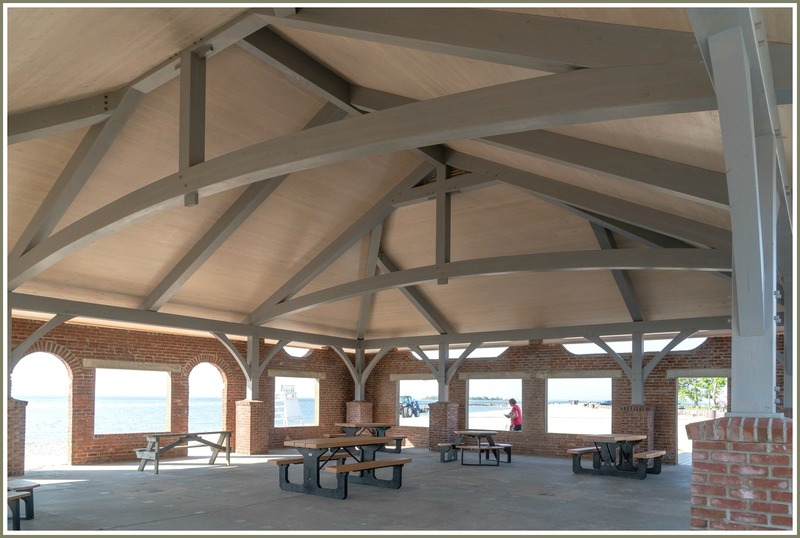 This entry was posted in Beach and tagged Compo Beach, Westport Parks & Recreation Department. Bookmark the permalink. Brilliant!! 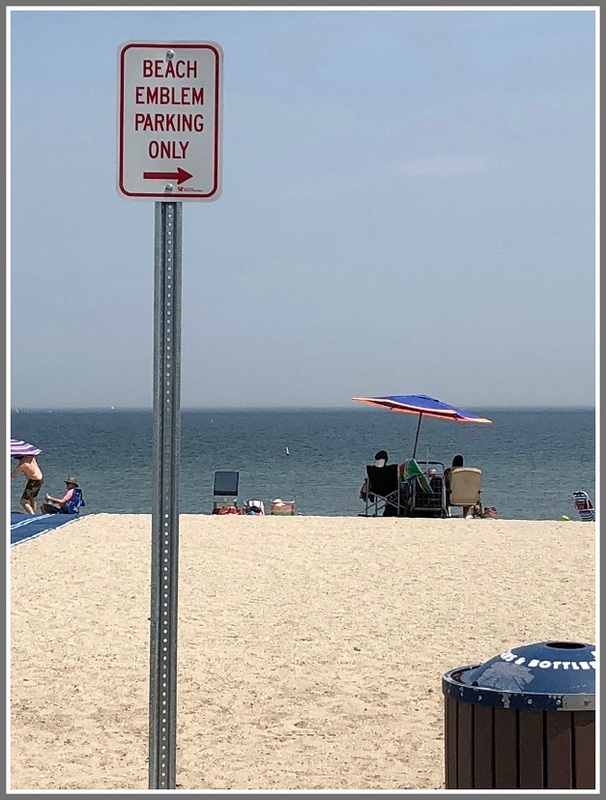 Thinking of the handicapped, and the parking for those w beach stickers. I applaud and am grateful for all those who worked so hard to do all this planning. Having a paid Officer roaming the beach to determine what is serenity or manners?! but sorry to say the directions for parking for non residents was not being followed! There were a few in the assigned lot, but many were in the front rows and the emblem lot. Compo Beach was my “home away from home” and I remember when a police officer wasn’t needed. The good old days!